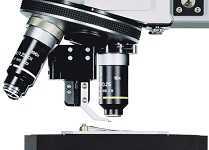 For optical images with a resolution that surpasses the diffraction limit, the alpha300 R can be upgraded with the Scanning Near-field Optical Microscopy features included in the WITec alpha300 S. It then combines Confocal/Raman Microscopy, AFM and SNOM in a single instrument. Using WITec's unique high-transmission cantilever SNOM-sensors, SNOM and topography images can be obtained simultaneously. For Confocal /Raman measurements, only a simple rotation of the objective turret is necessary to switch between the modes. The modular WITec Software environment controls all the features of the combined system, allowing complete data and image post processing.